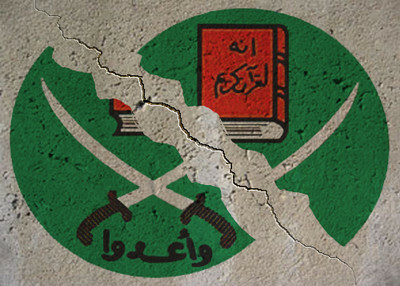 The Egyptian Muslim Brotherhood is in crisis and this particular crisis reveals a great deal about the enduring anti-democratic nature of the group, which stands at the head of the largest Sunni Islamic movement in the world. Tuesday, the Brotherhood announced the members of its new guidance bureau. This was the first election held for the bureau – its governing body – in 14 years. The vote by the 100-member Shura Council, an executive council of the Brotherhood that selects the Guidance Bureau, was seen as a battle between two competing poles in the party. On one side are the reformists or "moderates," who are led by Abdel Moneim Abul Futuh and supported by Mohammad Habib, the deputy leader of the Brotherhood. On the other side are the "conservatives." According to Habib, the conservatives want to maintain the status quo and continue with heavy emphasis on religion, while the reformists seek greater political openness and cooperation with other opposition parties. This split within the Brotherhood has a strong generational element, with the "old guard" representing the conservatives, and younger members and activists largely comprising the reformists. "Mohamed Habib, the first deputy to the Supreme Guidance, said Sunday that the election violated the bylaws of the movement. And added that the call for the election 'came from an individual [Akef] and not from the Guidance Bureau who are in charge for calling for the elections.'" "The objective of holding the elections with this hastiness is to establish one group against another group, and not just to exclude me personally, but also to infringe upon the rights of the Guidance Office." Some Shura Council members, including Habib, refused to vote under those circumstances. Akef, of course, claims the elections were legitimate. "Let Habib say what he wants to say, I am walking in line with the institutes of the group. I confirm the soundness of the [election] procedures 100 percent," he said. Habib is calling for the elections to be investigated. Looking at all this, one can't help but wonder: If the Brotherhood cannot manage to conduct an internal election according to its own internal regulations that their leaders write, how can it be trusted in government? Egyptian political analyst Khalil El Anani told Reuters, "These results indicate an internal coup d'etat against the reformist camp of the Brotherhood. Most of the new members are over 50 years old and there is no representation of Brotherhood's youth." "The very fact of the elections is noteworthy, of course. Virtually no other Arab political movement, party, or government holds such free or fair internal elections to positions of real power. Such internally democratic practices in the Muslim Brotherhood may come as a surprise to those who don't follow the Islamist movement closely, but they are a long-standing feature of the movement's internal organization." It's not clear which election Lynch has been watching, but it is clear that the freeness and fairness of the Guidance Bureau elections are contestable at best, and non-existent at worst. "While the dissenters have real grounds for complaint, there is no real reason to think that the elections were not truly representative of the mood in the movement. Attitudes have evidently always been more conservative outside of Cairo and the politicized youth activists. The reformists have taken a beating due to the limited fruits of their efforts to participate in the democratic process. With the rewards of electoral participation being increased arrests and harrassment [sic] at all levels of the organization, no influence over legislation, a constitutional amendment explicitly aimed at preventing their further participation, and little international support for their struggles, it isn't hard to see why they would fail to rally internal support for their cause." While Lynch's analysis is thoughtful, as always, it misses the point. Even in this political climate, with the reformists' efforts having failed to bear fruit, Akef and other Brotherhood figures still felt the need to engage in trickery to game the results. A movement that does not trust its own procedures and its own members can only disingenuously be called democratic. The fact that the elections may have represented the true "mood of the movement," casts Akef's shenanigans in an even worse light. The leadership did not trust the Shura Council to make the decision they likely (according to Lynch) would have made anyway. So they went for something a little more dependable than a real election - something other than democracy. To be fair, this lukewarm commitment to democratic principles does not make the Brotherhood much different from nearly every other political party or movement (even though it is officially banned, it is a party in practice) in Egypt and the larger Arab world. Across the region, democratic rhetoric is rarely married with practice, even in the opposition's internal elections. This recent episode provides more proof that the Islamists are not so different. Consequently, all the Brotherhood's calls for democracy in Egypt and elsewhere in the Muslim world ring a little hollow now, don't they? We can only hope that people of Egypt – and anywhere else Islamist parties claim they hold democratic principles dear – will take note.